System structure. VBASE industrial and building automation. 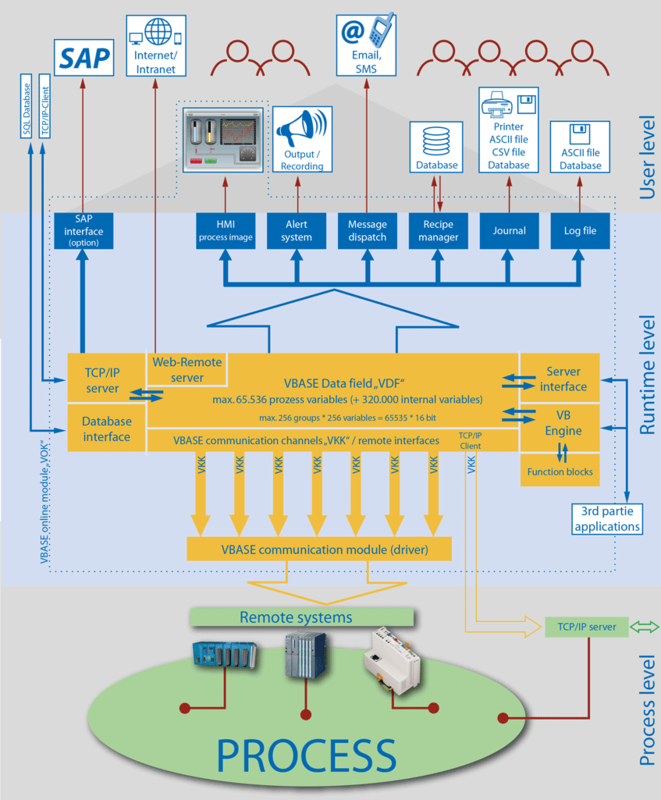 VBASE and its runtime systems (RT) have many interfaces to the remotesystems on the machine / process level as well as on the user side and to higher-level systems. The system structure shows the structure of the VBASE system and the internal communication flow.